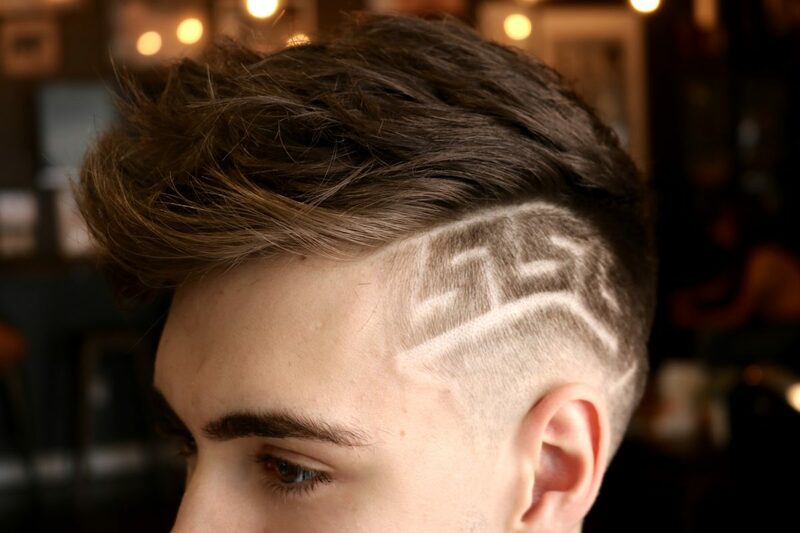 Our barbers are here to help you figure out the best style to suit you & your hair. 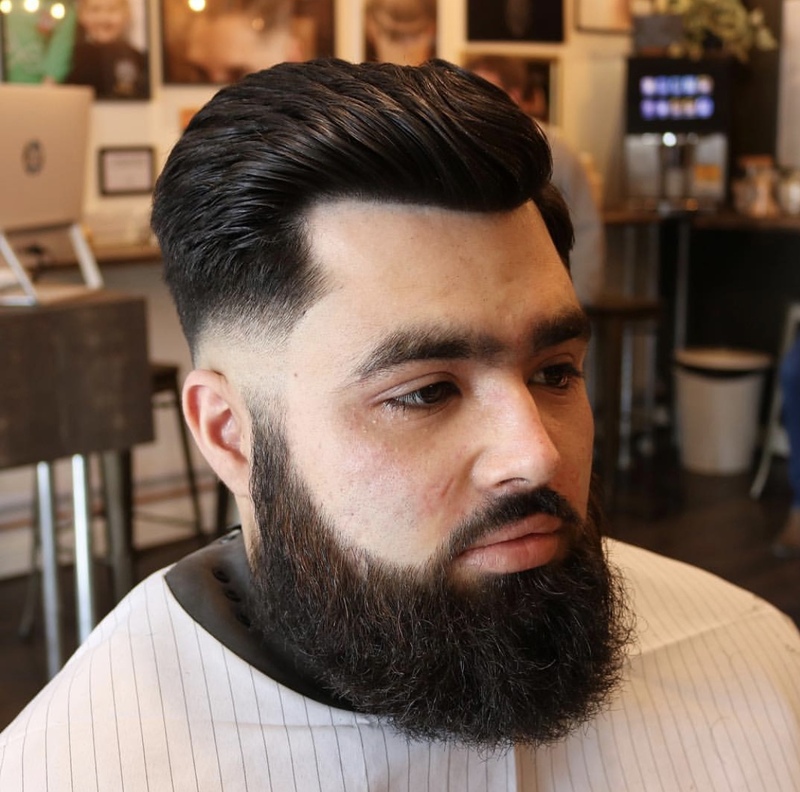 We always conduct a thorough consultation pre-cut or pre-shave, to ensure you get exactly what you want. We will do our best to guide you in the right direction, and advise you on anything that may or may not suit the style you require. We know whats best for your hair, so trust us. 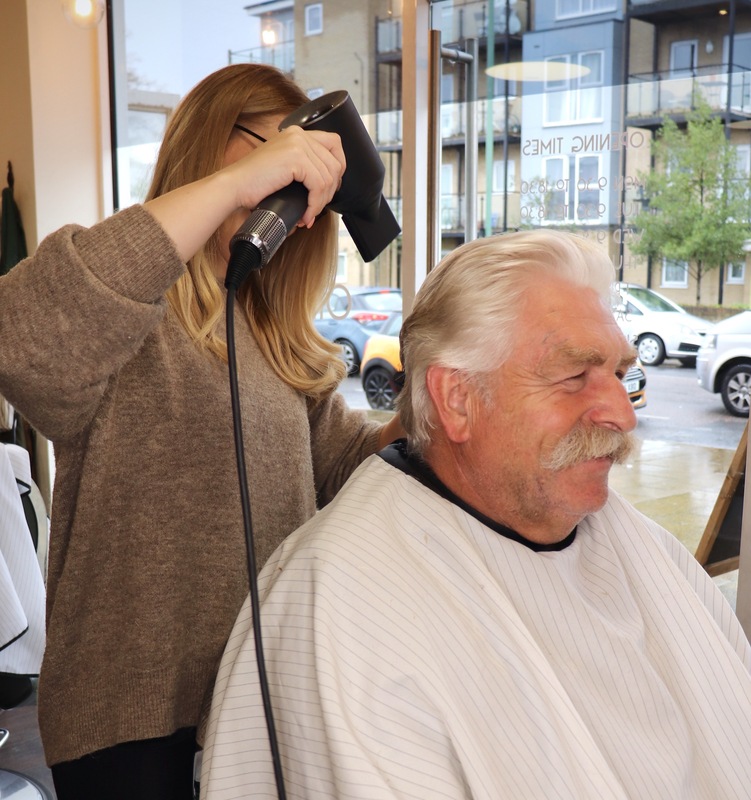 With a combined experience of 55 years, our 5 barbers will put your mind at ease. We offer a very diverse range of services, if there's something on our list you require but cannot see, don't hesitate to ask us. Your typical gents haircut in any style. whether it be a short back & sides, hard-part comb over, pompadours, high fade, low fade, mohawks, slick-backs, disconnections, you name it! We are here to help you figure out the best style to suit you & your hair. 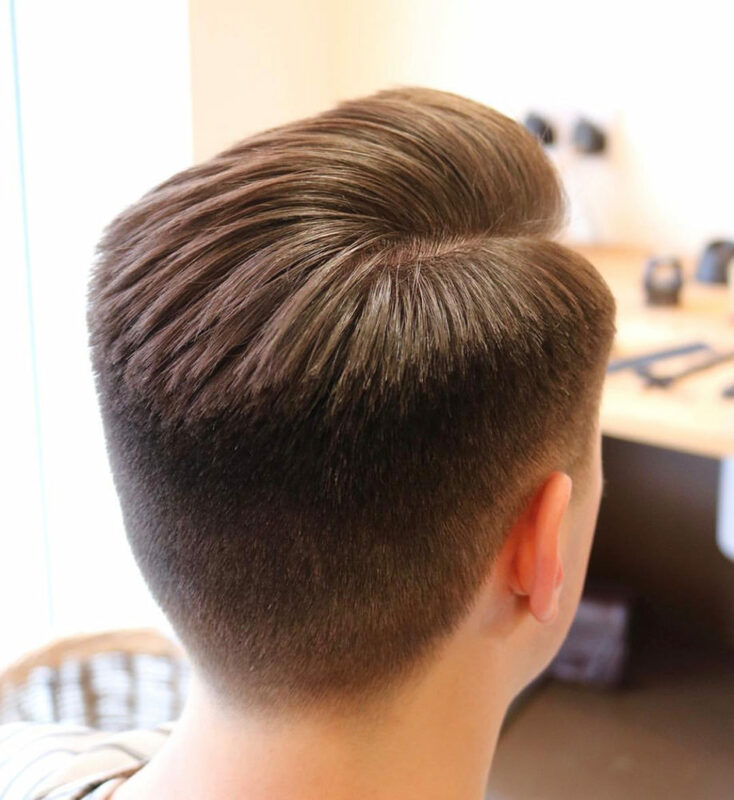 our barbers always conduct a thorough consultation pre-cut, to ensure you get exactly what you want. 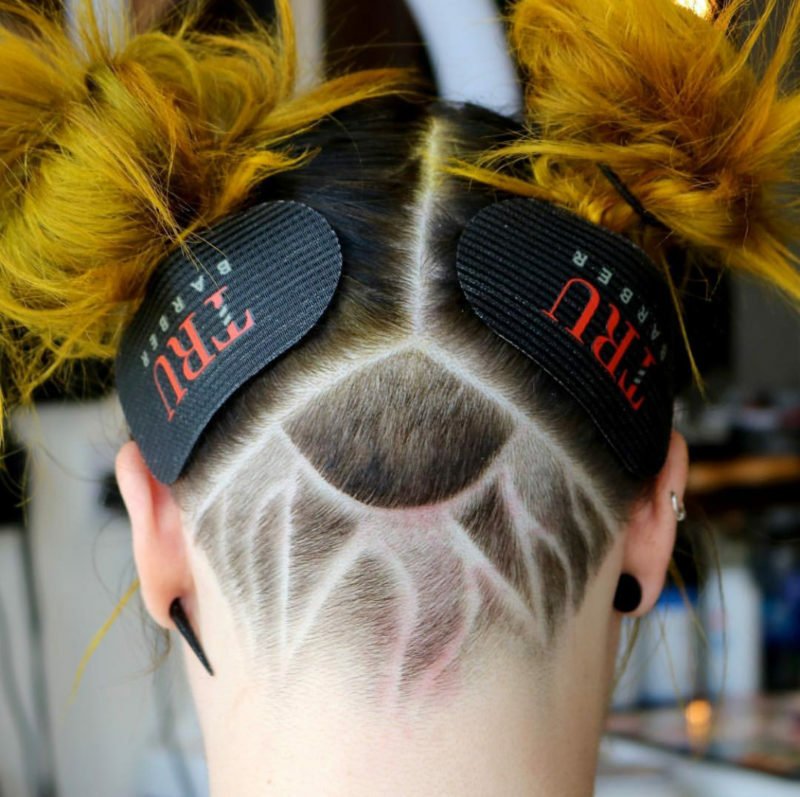 Cut with either scissors or clippers, its up to you! We have many barbering magazines on our waiting table for you to browse through for inspiration. Your hair cut will be finished off with the optional product of your choice. Beard sculpting at its finest. Tailoring your beard to your preferred length, using either clippers or free-handing method. Edged up with the cutthroat razor or foilers, depending on skin sensitivity. 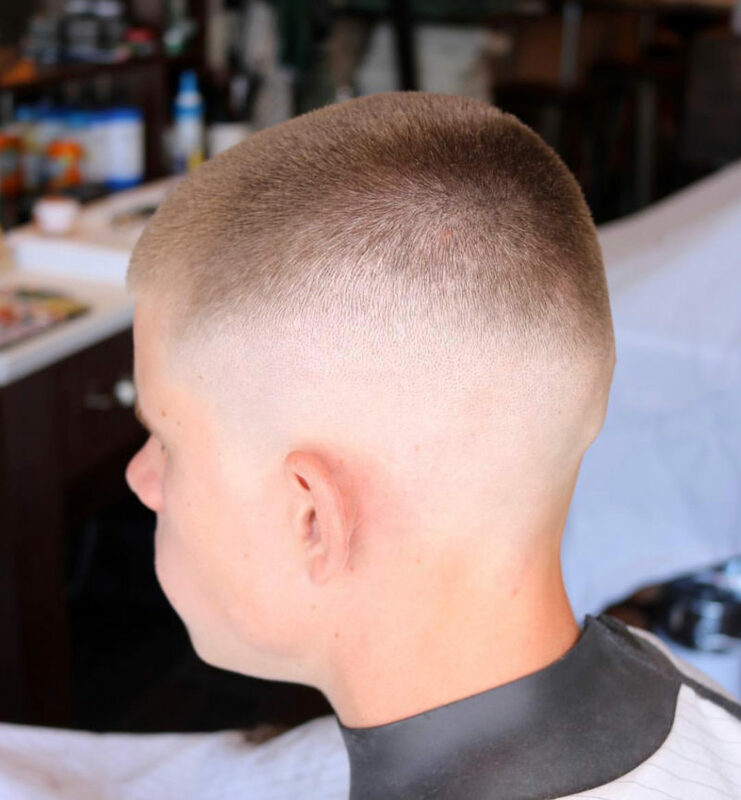 The term 'fade' is when the hair starts longer at the top of the sides of the head, and 'fades' aka tightly blends down shorter through the grades to the bottom of the head. 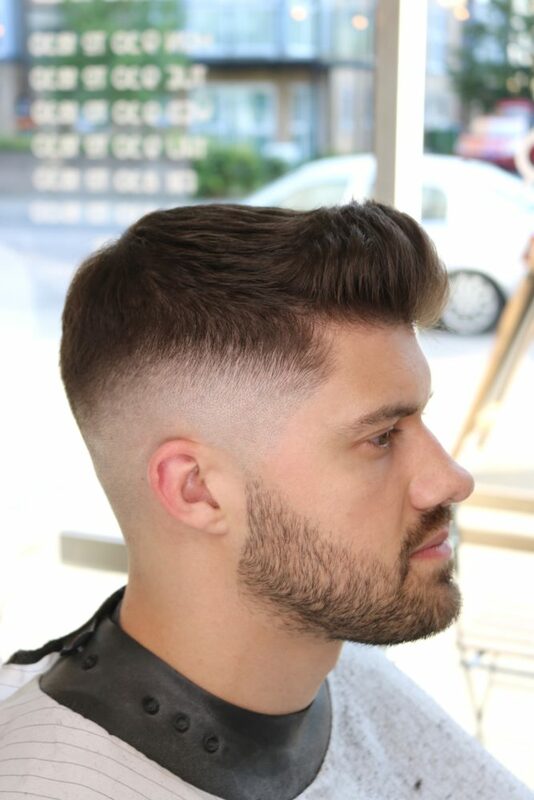 A 'skin' fade is a term for when the length on the sides is closer to the 'skin' than a grade zero, using either a cut-throat or foilers. 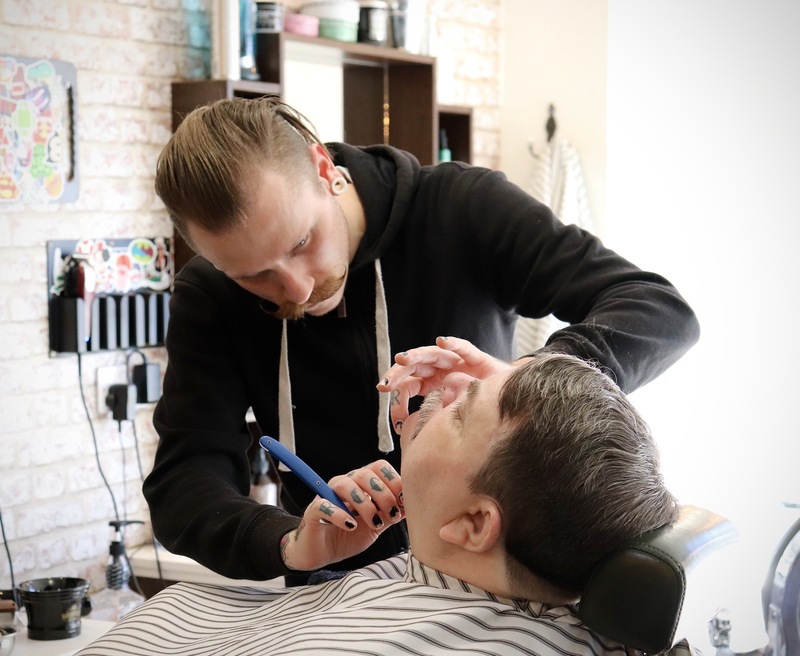 Foilers cut the hair dry, as opposed to a fresh razor blade, and are useful for those requiring a haircut just as close to the skin but are prone to skin irritation or sensitivity. Traditional Hot Towel Wet Shave. Our traditional hot towel wet shaves take around 45 minutes to an hour. We leave you to relax whilst your face steams under hot towels, then gently apply the finest of lathers & shave the face. We then repeat this process again & finish off by toning the pores & massaging the skin with cooling & soothing shaving balm. Barbers discretional pricing on tramlines/added extras, depending on length of time the service takes. we range from suicide lines, to full head patterns, all finished using a cut throat blade. 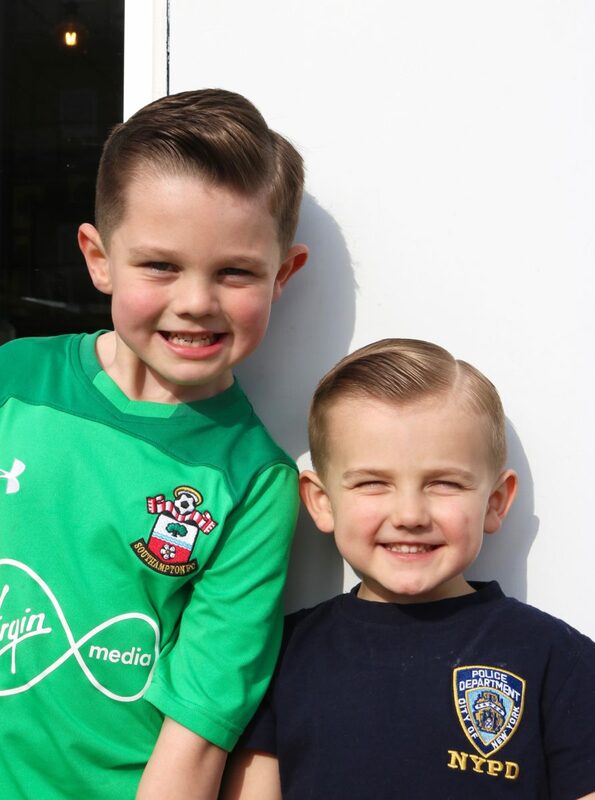 Boys haircut 10 years old and under, any style, weekday price £9.00 (*Saturday price £11.00), Boys 10-16 £11.00. Does not include extra charge for tramlines or skin fades. For Gentlemen aged 65 and over, our senior citizens cuts include ear and eyebrow trimming. £8.00. Saturday price £11.00. A grade length of your choice shaved on the sides and another shaved on the top, blended in together and edged up with trimmers. Finished with the finest of hair products.